There are plenty of earnest bowlers who head to their nearest lanes regularly, intent on playing their game of choice. However, most players are open to a little diversion now and then, as proprietors of bowling and/or combination family entertainment centers well know. Read on to learn what four establishments in varying locales do to get guests to stay and spend once the last pin is knocked down. At Perfect Games, a bowling and family entertainment center in Ames, Iowa, management works to keep the prices fair. “People will spend more if they feel what they are getting is a good value. 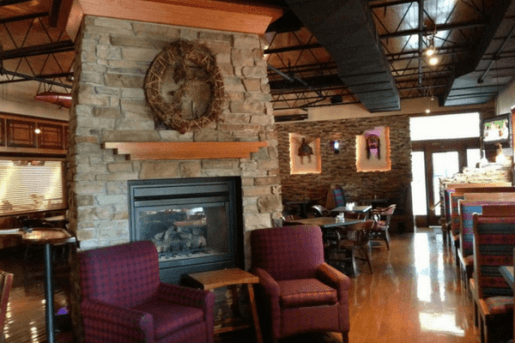 We do this by keeping our prices reasonable and by also offering coupons, specials and other package deals that people can take advantage of,” said General Manager Kelly McPartland. If the idea of keeping prices reasonable while simultaneously offering money-saving options sounds contradictory, that is because everyone wants a deal. It’s just human nature. “The first words out of many customers’ mouths is ‘What deals do you have today?’ ” McPartland added. She has noticed that if guests feel they are getting a good price-value then they will spend more money. 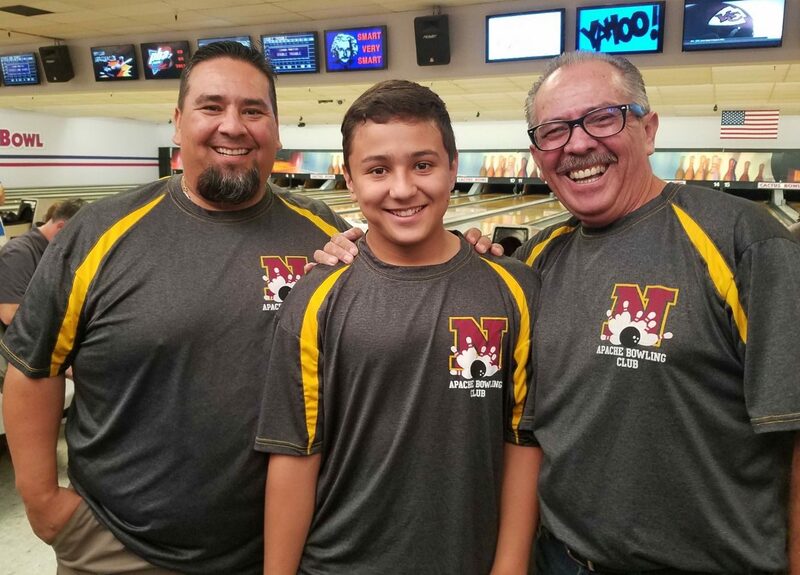 The Canez family runs Arizona Bol Lanes in Nogales, Ariz. Shown, from left to right, are Rene Canez Jr., Rene Canez III and Rene Canez Sr., representing three generations. In addition to bowling, the center offers pool tables, a bar and free popcorn. The popcorn is in an incentive to encourage guests to purchase beverages. The offerings at Perfect Games include 24 lanes of bowling, a laser tag arena and video arcade, mini golf and children’s play structure as well as a pizza parlor and a sports bar. This FEC hasn’t added any new pricing packages recently but is considering some options. One would be an unlimited play package for a set time frame that would encompass bowling, laser tag, arcade, and mini golf along with a snack or food component. “It’s something our customers have asked about and that we have considered in response to an increase in competition in our area,” said McPartland. Perfect Games’ top earner other than bowling is their arcade. The center has been conscientious about adding new games continuously over the past five years including replacing classics such as Skee-Ball with updated versions. Adding an elaborate multi-featured climbing and play structure in the arcade has also proved to be a boon. “It gives younger kids something to do while their older siblings play in the arcade.” A big part of the arcade’s success can be chalked up to redemption. “About two-thirds of our 75 games are redemption ticket games. Everyone likes to win tickets and redeem prizes,” McPartland concluded. Perfect Games strives to stay current with prize offerings at their redemption counter, offering popular branded merchandise like Pokemon plush items and other attention-getters. A view of the game room at Perfect Games in Ames, Iowa. The general manager said if guests feel they are getting a good price and value, they will spend more money. It’s a family affair at independently owned Arizona Bol Lanes in Nogales, Ariz. Three generations of the Canez family prevail at the 16-lane facility – Rene Sr., Rene Jr., and up-and-coming Rene III. Bowling is the main focus of business with league play being an integral part of proceedings. There are also two pool tables in their billiards lounge, as well as a full-service bar on the premises. Hungry bowlers can refuel on pizza, and tortilla chips are a frequent offering. “But what we do differently – I don’t know if other places do it or not – is we serve free popcorn to our league bowlers and our customers. Our goal is for them to buy drinks,” said Rene, Jr. Soft drinks, beer, mixed drinks – the bar is equipped to serve whatever people desire to quench their thirst. Pricing packages that revolve around birthday parties have long been a staple at Arizona Bol Lanes. “And company functions – we’re happy to accommodate those too. We’re pretty much open to whatever the customer wants,” said Rene Jr. He doesn’t foresee offering any new price packages in the near future, although somewhat regrettably a rising minimum wage is causing the center to have to make some adjustments to their pricing schedule. Bowling remains their top earner however, and perhaps courtesy of a little boost from all that free popcorn, Arizona Bol’s full-service bar comes in second. 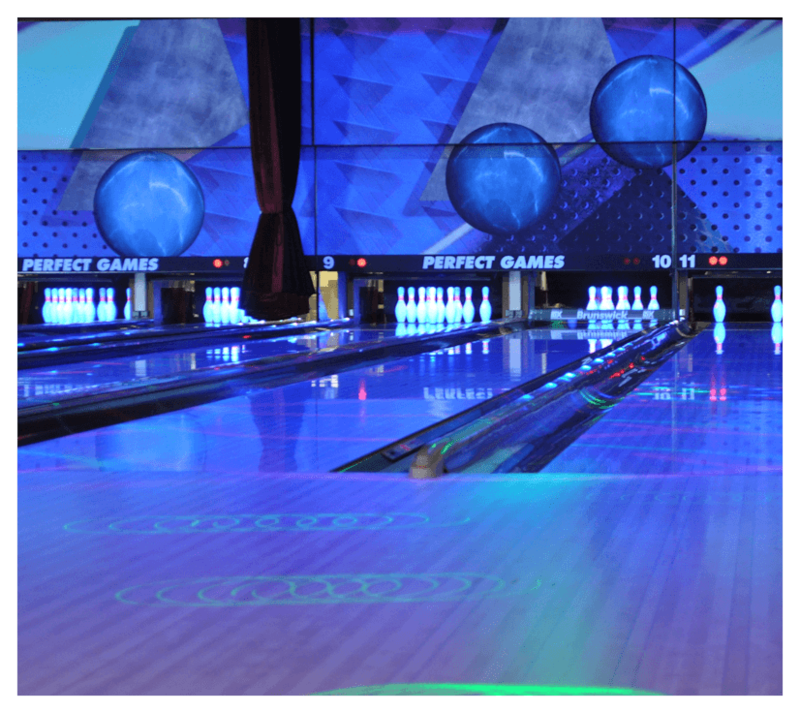 Glow bowling is on the activity list at Perfect Games. Other fun offerings include laser tag, an arcade, miniature golf, a children’s play structure, a pizza parlor and a sports bar. 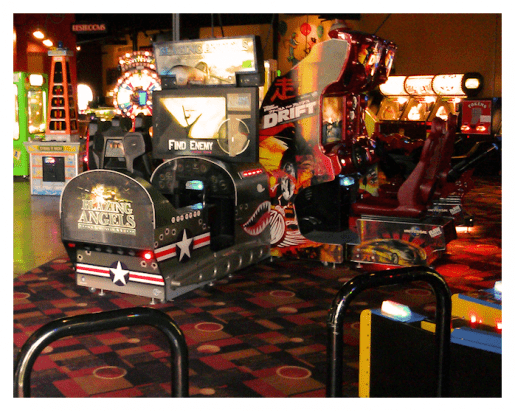 There is no shortage of things to do at Valley Lanes Family Entertainment Center in Midland, Mich. In addition to 32 lanes of bowling, the comprehensive center offers a laser maze, bumper cars, an 18-hole miniature golf course, billiards, the relatively recent addition of two escape rooms and a virtual reality gaming room, plus an expanding redemption arcade and a full-service restaurant. “They come for the bowling and stay for the food and other fun things we have to offer,” stated Operations Manager Kari Doty. Despite having so many diversions and opportunities to stay and spend, Valley Lanes FEC stresses the importance of valuing guests’ presence. “Staff must be attentive, knowledgeable and appreciative of customers. Each guest must be treated as if they are the only one,” she said. Valley Lanes FEC is in the enviable position of being busy all year-round, with no need for price packaging. They do not expect to structure any packages at this time. “Our business does very well all around,” explained Doty. “However, our top earning activity is the redemption arcade.” She attributed the arcade’s success to having a lot of options, staying current with all the latest games, and being reasonably priced. 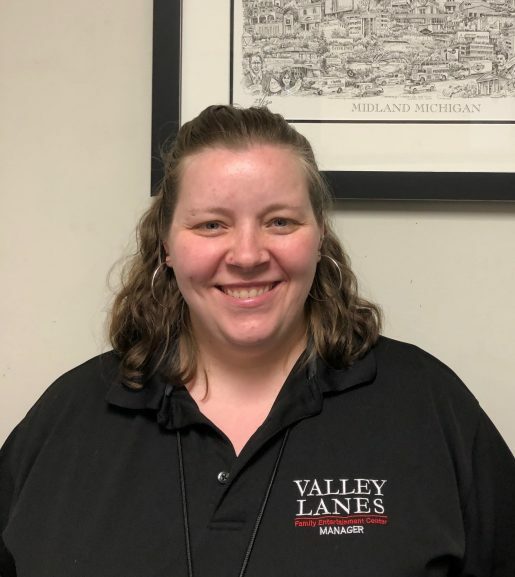 Kari Doty, operations manager, Valley Lanes Family Entertainment Center. A lazer maze, bumper cars, miniature golf, billiards, virtual reality gaming, escape rooms, a redemption arcade and a full-service restaurant supplement the bowling at the Midland, Mich., attraction. Home to 60 lanes and plentiful league action, Fountain Bowl in Fountain Valley, Calif., is a bowling mecca for both competitive and casual players in sprawling Orange County. The family-owned center’s strong commitment to customer service is evident as hosts and hostesses regularly walk its lanes inquiring after patrons’ needs. “They make sure players’ names are in-put, answer any questions about how the equipment or scoring works, and generally see that customers are satisfied and having fun. Whenever possible, staff will inquire if they want to extend their visit,” says Co-CEO, CFO and Secretary Gary C. Forman. Fountain Bowl is a traditional house, however, with bowling being the main focus. It is not always possible to invite customers to continue to play when there is a waiting list in force. A seating area at Valley Lanes Family Entertainment Center. Staff must be attentive, knowledgeable and appreciative of customers, according to the operations manager. Fountain Bowl features a lounge, a full-service sports bar as well as a food court. Patrons can play pool, darts, and shuffleboard, even a few arcade style games if they so desire, but the main attraction has always been bowling at the dedicated center. “This business is dependent on how many people and how many pin setters are going up and down and how many balls are being thrown down the lanes. My ancillary sales are reflective of that,” Forman explained. Both youth and adult birthday party packages remain perennially popular at the center. Each age category features three reliable pricing formulas that provide basic to deluxe festivity details. Fountain Bowl is also very welcoming of corporate and group events and offers a similar number of packages in this regard. In all their packaging efforts, management’s inclination is to stay with the tried and true. Bowling is really what it is all about at Fountain Bowl. “There are still a few traditional, really traditional bowling centers in existence and we are one of them,” Forman concluded.